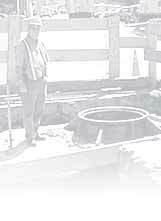 ECS maintains records about its underground infrastructure and its tenants' use of the system. Tenants may obtain copies of certain ECS records, such as "table" maps and Duct Utilization System (DUS) cards in order to plan routes through the system. To the extent available, ECS can also provide digital copies of any records maintained in that format. Most records requests can be handled on an ad hoc basis free of charge, however, ECS shall bill tenants for the costs of retrieval, reproduction and shipping of large requests for records. Some ECS records may contain competitively sensitive information. ECS has a strict policy against disclosing its own confidential or proprietary information or that of its tenants. To safeguard such information, ECS may restrict access to certain records and, when responding to tenant record requests, will redact certain records (e.g., DUS cards) to eliminate any information relating to other tenants.